A newly released Version 2.1 of the HDMI Specification supports a range of higher video resolutions and refresh rates including 8K60 and 4K120, and resolutions up to 10K. Higher video resolutions support a range of high resolutions and faster refresh rates including 8K60Hz and 4K120Hz. Resolutions up to 10K are also supported for commercial AV, and industrial and specialty usages. Variable Refresh Rate (VRR) reduces or eliminates lag, stutter and frame tearing for more fluid and better-detailed gameplay. Crosslake Fibre, a new venture that plans to construct the first submarine cable across Lake Ontario from Toronto, Canada to Buffalo, New York, has secured an investment from Tiger Infrastructure Partners. Crosslake intends to build a high fibre count network linking data centres in Toronto t networks in the United States. The 60-km subsea cable will be the first in Lake Ontario. Crosslake Fibre said intends to use horizontal directional drilling to land the submarine cable at each landing in order to minimize any impact to the shore end or beach. The ready-for-service (RFS) date for the system is September 2018. In November, Crosslake Fibre announced plans for a submarine cable system connecting cable landing stations in Wall, New Jersey to Long Island, New York. Megaport, which provides SDN-based Elastic Interconnect Services, has begun offering direct, secure connectivity to IBM Cloud from any of the 179 data centres globally where it is present. "IBM Cloud has a long and rich history within the enterprise space," said Vincent English, Chief Executive Officer, Megaport. "Clients who want to build next-generation applications now have direct, scalable access to cloud infrastructure that is tuned for AI and big data. Our connectivity model bypasses the public internet and serves enterprises moving to the cloud while improving performance and network reliability to critical business applications. As a result, customers can optimise workloads and scale between on-premises infrastructure and the cloud." "Enterprises have moved well past using the cloud simply for cost-savings, and are now embracing higher value cloud-native services to create new business opportunities," said Kit Linton, Vice President of Network, IBM Cloud. "Megaport is enabling direct connectivity to IBM Cloud Direct Link to provide a reliable way for global enterprises to expand their reach, drive innovation and embrace a cloud strategy that seamlessly connects public and private infrastructure." Toshiba introduced an enterprise hard disk drive (HDD) with a record capacity of 14 TB and based on Conventional Magnetic Recording (CMR) technology. The drive uses a 9-disk, helium-sealed design and is aimed at cloud-scale and enterprise storage applications. A 12 TB, 8-disk version of the drive will also be available. On December 6th, the DE-CIX Internet Exchange in Frankfurt, Germany hit exceeded the 6 Tbps threshold of peak load for the first time. The DE-CIX Internet exchange in Frankfurt boasts over 700 networks connections. Access is available in 20+ data centers in the metro area. Exchange traffic flows over the DE-CIX Apollon platform. Kansas City Power & Light (KCP&L) has selected Nokia to enhance the microwave communications network that supports a range of mission-critical services for the utility's power transmission and distribution grid. 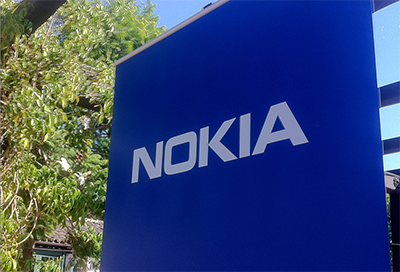 Nokia said that for this project it is introducing the latest microwave packet radio technology as an overlay to existing equipment. KCP&L is deploying Nokia's Wavence microwave packet radio family of technologies (formerly known as the 9500 Microwave Packet Radio), which will enable the utility to support all of its grid control applications alongside its legacy data services using a single, converged network. The current deployment, covering 40 sites, is already underway and is to be completed before the end of 2017. A second phase consisting of 29 additional sites will follow shortly after.